You have a lot to do managing your small business. You’re in charge of everything – from ordering supplies to managing employee schedules to protecting against the next big security breach – operating a small business requires you to be a jack of all trades. 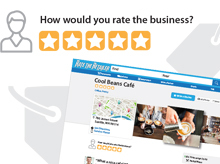 You need to implement solutions that protect your business without making your job any harder. And while two-thirds of small businesses having no IT staff dedicated to cyber security, they still account for over half of the breaches seen every year. So, whether you choose to deploy and manage your cyber security in-house or work with a managed security service provider (MSSP), you need a solution that can stand up to even the toughest attacks. You need security solutions that protect against the threats of today and the attacks of tomorrow. But protecting against known, unknown, and evasive threats doesn’t have to mean managing solutions with services you don’t need. Deploy security solutions that are sized to meet your business needs, while still protecting from even the most advanced threats. With everything you worry about, purchasing your security solutions shouldn’t require an advanced degree in mathematics. If you could just purchase one license for all of the security services you need to defend your network, it not only ensures you have the protection you need but it makes renewals a breeze. The average small business can dedicate less than eight hours a month to maintaining their cyber security, meaning you need solutions that help you do more, in less time. Solutions that are easy for you to set up and configure help you feel confident your business is secure. Additionally, solutions that are easy to manage, automatically generate reports, and give you visibility into threats allow you to get back to what you love to do – managing your actual business. 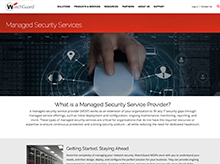 What is a Managed Security Service Provider? Get the Retail Resource Kit! WatchGuard offers a full line of hardware, virtual and Cloud UTM appliances, guaranteeing the right size appliance for your business. Furthermore, our Total Security Suite offers the security services you need without the complexity you can’t afford to manage. For years, MFA solutions have been considered feasible only for larger, enterprise organizations. WatchGuard AuthPoint is designed with the MFA features your business needs without the enterprise price tag and complexity you don’t. Connecting to the Internet is essentially mandatory for every business – including yours. But it also creates easy access for hackers. WatchGuard offers the most secure Wi-Fi access points available on the market and allows for easy segmentation of corporate and guest networks. Don’t want to manage your security on your own? WatchGuard works with an extensive network of MSSPs that specialize in meeting the needs of the small business. Find the perfect MSSP in your area today!